A chaotic photo collection can lead to misplacing those memorable photographs that are worth a thousand words. With the quick changing technology and ever so often updates that go along with digital photography, it’s hard to keep up with the changes. Here are five simple ways to take your personal digital photo collection from a mess to a beautifully organised display. First thing is first – Get everything in one spot. Without even realising it, your photos are probably cluttered all over your life. From your phone, to your camera, to your computer, the first step in organising your photos is to download them all onto your computer. If your photos are dispersed in all different locations, it’ll be impossible to know what is where. Get Organised – Once you have all your pictures on your computer, it’s important that you organise them into different categories such as special events, vacations, places or people. This can be done various ways either through creating folders on your desktop or organising them in your iPhoto library. This will help you instantly be able to go back and relive any memory through your pictures in just seconds. Make them look professional – Wouldn’t you like it if your pictures were all taken by a professional photographer? The thing is you can easily make it look like this is the case by making a few simple edits to your pictures. The key is to play around and experiment. Try the enhance button or mess around with the contrast. Nothing is permanent and it’s fun to try! Get Creative – There are a million different creative ideas of what you can do with your pictures. 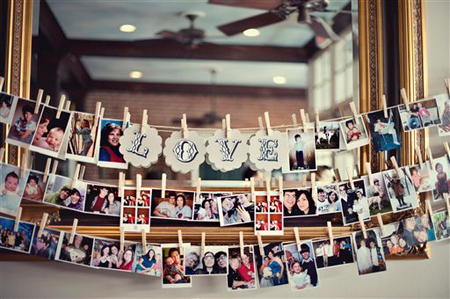 Try scrapbooking, create a photo wall in your house or craft a collage as a gift for a friend. A photograph is such a personal gift that anyone would be thrilled to receive. The possibilities are endless once your pictures are organised and edited to perfection. Show them off – Everyone says a picture is worth a thousand words but this is only true if they are on display for people to see. Show them off! Everyone loves looking at pictures. Hang them up all over your house or even get dig into technology a little by putting an album on a USB drive and playing a slideshow on your television or uploading them to your social media profiles such as Facebook. Photographs are one of the best ways to tell people the important memorable stories from your life. They also add instant comfort to any home. This final step will take your photo collection to an entire new level than you started with. The ways are simple and easy so get started and revolutionise your digital photo collection! 1. They are all business. Your Virtual Assistant (VA) will support your needs, not the other way around. Since they bill their hours for the work they accomplish – you are not paying for personal phone calls, late arrivals, childcare crises, or sick time. 2. You’re in control. Your working relationship is based upon a contractual agreement whereby you state in no uncertain terms what you expect. Or, you can entirely defer to your Virtual Assistant’s expertise and focus your energy elsewhere. 3. Professional rapport. Your Virtual Assistant will market their services, prospect for clients, and provide a service just like you do. It’s a great way to add to your network base, as they may have found ways to solve problems you never even thought of. Often they have their own network of resources that they utilise for printing, document processing and promotion. Tapping into their resources doubles your own. 4. Pride in their work. If you are hiring a VA for tasks such as web design, you can easily preview their work. Often the VA service will place testimonials on their site or examples of web pages they have designed. Examine their portfolio pages to determine the depth of their skills and experience. 5. Virtual freedom. No on-site employees means no liability, no payroll taxes to calculate. Everyone is an independent contractor. You can utilise a virtual assistant for either ongoing work or on a per-project basis. 6. No strangers in the house. If you have a home office, hiring employees to work on-site could be intrusive. 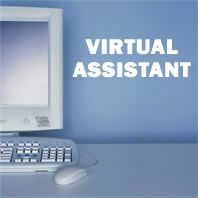 If you have children at home, or a spouse who works odd hours, or you just don’t care to open up your private space to others, a virtual assistant is ideal. Most likely, your VA will never darken your doorstep. When you hire your Virtual Assistant, be sure to ask them to furnish a detailed list of the types of services for which you will be billed. Some VA’s will charge to accept your phone calls, read your email instructions, or the time it takes to download a file. There should be no surprises if you have good communication with your VA. Remember, you cannot see your potential VA to evaluate their credibility, nor they you. Consider several exploratory conversations prior to signing on the dotted line. This will ensure that you and your Virtual Assistant will have a productive partnership. Call Management was present the last Wednesday 14th in the InBusiness InCork expo to provide advise and support to start-ups and SME. After talking with a large number of entrepreneurs we have decided to provide some “Tips to consider when Setting up your own Business”. One of the most important factors to consider when setting up your own business, is to an in-depth knowledge of your target mark. Prior to setting up the company it is imperative that market research is carried out so that you get to know the needs and wants of your consumers. Once the research is finalized the results will give an indication as to how best to meet your customers needs. Tip: If you need more information see this link or contact us. Have a plan which outlines how you plan your business to operate. This plan should include a description of your idea, financial projections, staff and location description, sales and marketing plan overview, customer description, etc. Tip: Enterprise Ireland and County boards can provide you with business plan templates. Many companies choose to operate from home for the first year of their business. A good thing to know is that outsourcing companies can provide you with a business mailing address and meetings rooms close to your key markets. For example if you need to receive post and meet clients in Ireland, you can benefit of Call Management business mailing address and conference room hiring facility. Phone numbers provide, as well, a better approach to key markets. Having a landline number provides a more stable image of your company and the country and area code can mean a lot to potential clients. For example if a Dublin company has a Cork and London phone number, potential clients will believe that they are located in these areas. Tip: Call Management can help you to obtain a phone number from everywhere of the world and a business mailing address in Cork. Ask us! Know how you are going to target your market, and who you plan to advertise your company. You should also decide on what channels you want to use – radio, print, online or television. Once a decision is made, plans should be put in place to advertise as much as possible but it is important to be ready to cope with the increase of demand and brand awareness that you can achieve. Tip: If you are running a tv ad with a phone number where to buy your services; you will need staff answering your phones when the ad is showed. So probably you need your team 24:7 near to the phone or… just can outsource it to us! Know that Enterprise Ireland and County Councils and other agencies are there to offer support and advice in relation to set up companies. Also, you should concentrate in the core of your business. Tip: People usually think that entrepreneurs are able to cope with everything; however, entrepreneurs are also humans. So, if you cannot with everything… just find an outsourcing partner. Outsourcing companies have many services to help small medium enterprises. For example many SME’s and start-up choose to use a business mailing address which is provided by the outsourcing company. Outsourcing companies also provide 24/7 telephone answering services, database services, and many more services, to ensure that their clients can concentrate on winning new businesses. 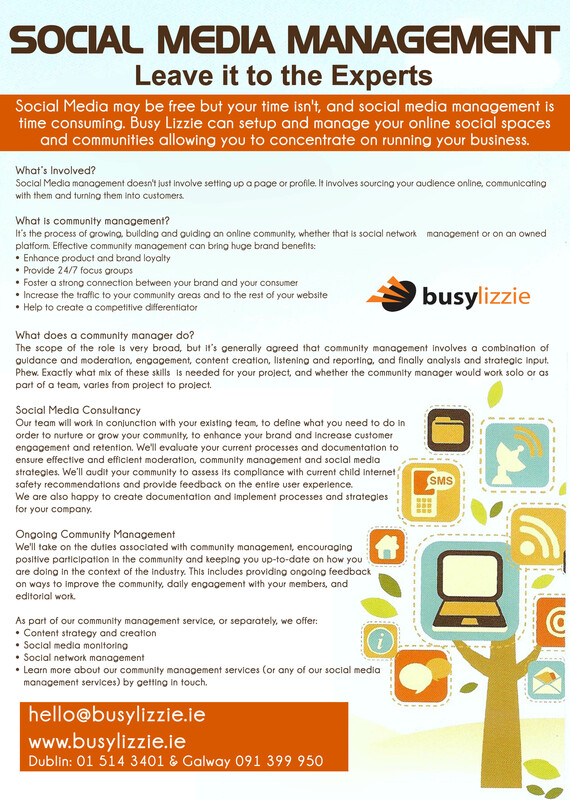 Tip: Check if any of our services fit with your needs. Prior to going to market ensure that your company is a registered for trading and has a license to sell. If you have an office, ensure that your staff are insured. Tip: Ask for different quotations. With social media growing ever more popular it essential many companies have to choice but to join social networking sites. However if you decide to have a social networking page, it is essential that the following steps are followed to ensure, that your company is portrayed in the best light possible. 2- Don’t get into an argument – if a customer choose to complain via Twitter or Facebook ask for their email address/contact details and deal with the complaint privately. If a customer becomes abusive, block them from your profile, and then report it. Don’t ever respond or retweet the posts that the customer has sent you, it makes the company look unprofessional. Similarly don’t ever bad mouth anyone online or in an email, as this emails may come to light one day. 3- If unsure what to write ask someone. There are many social media courses running nationwide, which would be able to give you an idea, as to your social media can accounts can run. For example our partner Busy Lizzie is running a 10 week course at the moment. Tip: Contact centres can help you to reply your customer enquiries through different channels: phone, e-mail, live chat and of course social media too! Have a price for your product/service decided. If you decide to introduce a special introductory rate to attract clients it should be clear as to how long the special rates will run for. 10+ 1 Enjoy the adventure! How to Grow Your Next 1,000 Pinterest Users Organically.